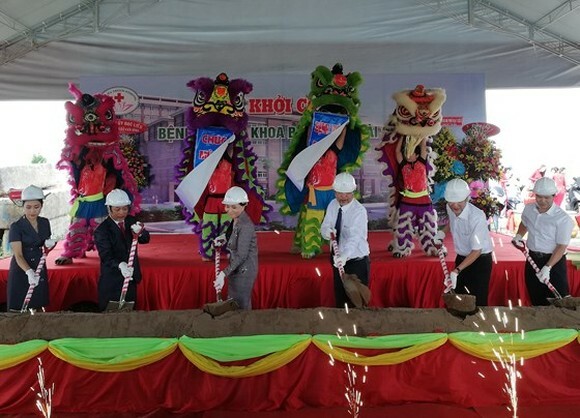 This morning, the groundbreaking ceremony of the private general hospital Bac Lieu – Sai Gon started in Bac Lieu City of the Mekong delta province of Bac Lieu yesterday. The VND1,370 billion ($59.8 million) infirmary is located in the area of over 3.7 hectare with ten floors. It has 836 beds. Carried out by Bac Lieu – Sai Gon Company , it is scheduled to be operated in late 2020. The infirmary will not only serve locals but also patients from neighboring provinces, helping to reduce pressure on public medical clinics. Speaking at the ceremony, Deputy Chairman of Bac Lieu People’s Committee Vuong Phuong Nam asked the investor to finish the project on schedule and hospital managers to take heed to train good force of medical staff to meet treatment demand.